Living in Crewe is perfect for the simple fact that's so ideally located for small trips out. Easter holidays, or any school holidays for that matter can make entertaining the smaller people in your life somewhat of a struggle when there's plenty of days to fill with something to do. Whilst our little munchkin isn't at school, we like to make the most of weekends together and ensure that we do something family orientated that we all enjoy, so when Intu Potteries got in touch and asked if we wanted to take a trip to Stoke we jumped at the chance and put their family entertainment to the test and there's no better way to test family entertainment than with a noisy 13 month old who can crawl at around 50 miles per hour. It takes about 20 minutes to get from Crewe to Stoke by car so it's an easy trip to make, we set off at lunch time with the intention of heading straight to Nando's for lunch and then popping literally next door to Cineworld to watch Peppa Pig Festival of Fun straight afterwards. We arrived in good time and were surprised to see that there wasn't a queue for a table. The staff we were friendly and gave us a table with room for the buggy to be stored safely and not in the way (it's so awkward when the buggy is in people's way in restaurants) we got a high chair for Fred who was just thrilled with it. 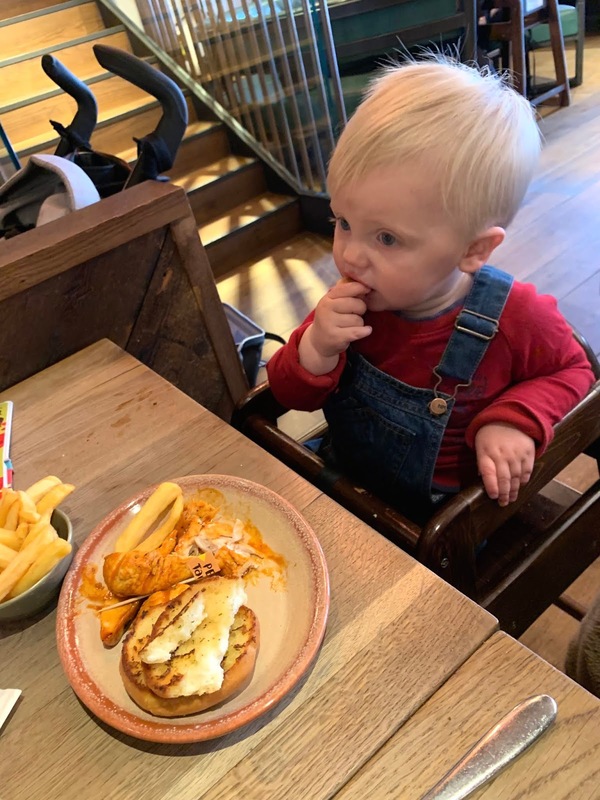 This was the first time that Fred has had his own meal at Nando's, before now he's just had some of ours but his appetite is much bigger and ordering his first Nandino's was the cutest moment; he did this happy little wiggle in his chair all the way through his meal and ate a really good amount. The ice cream at the end was definitely his favourite bit. We found that the kid's meals are really reasonably priced, for a main and two sides and a dessert we paid £5.95 and the portion size was perfect. Freddie had the chicken breast fillet strips and we ordered them PERI-tamer style (slightly and sweetly spiced) with chips and garlic bread. The food arrived quickly enough to avoid any 'hanger' (the boy takes after his mother) and was already served ready for little hands to grab which was convenient because Fred went in. Having never ordered from the Nandino's menu before Luke and I were interested to see how well Nando's had adapted the main menu for little palettes; obviously we couldn't resist having a taste and the chicken was really flavourful but mild enough to manage and the garlic bread as a seasoned mini-burger bun, perfect for little hands. 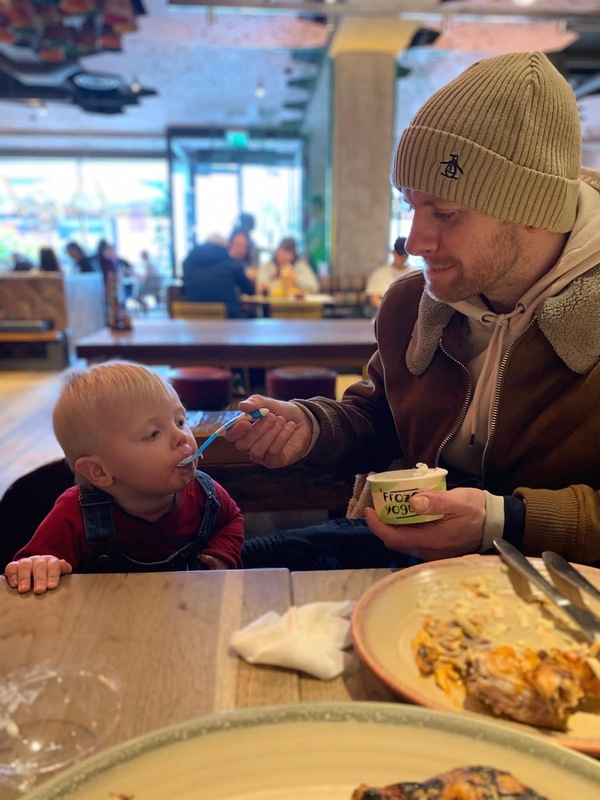 Luke and I really enjoyed our meal, Nando's is Luke's all time favourite meal so we've tested out a few different restaurants and we agree that the Intu Potteries branch is the best we've been to yet from the decor to quality of food and customer service. We didn't feel like an inconvenience which is something that can often be felt when eating out with a toddler, they're messy, loud and come with lots of baggage (that could be twitter bio) but this particular branch of Nando's was bustling with families and wonderfully accommodating and it's definitely a branch that we'll be visiting again. 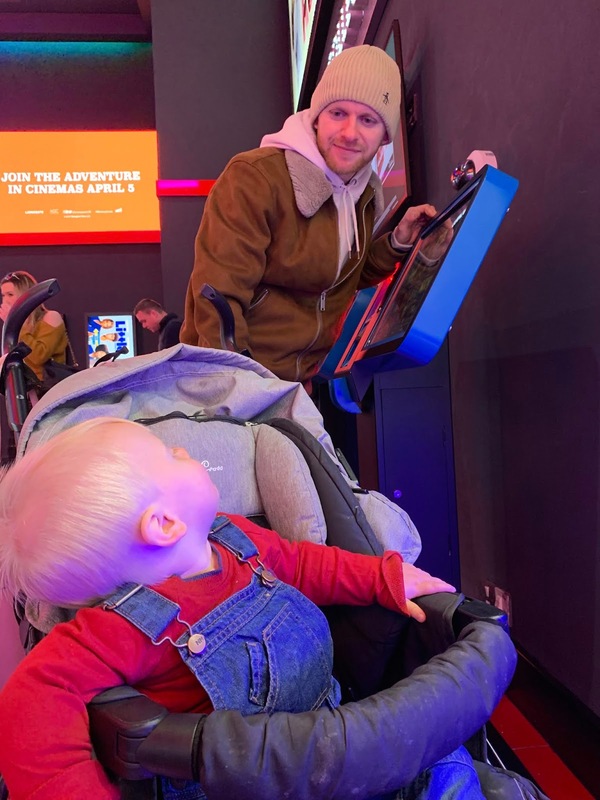 After the meal we headed straight to Cineworld which was conveniently next door, we'd looked up the film showings before we left and decided that Peppa Pig Festival of Fun was the best option for Freddie as it's more age appropriate and we were a little worried that he'd be too disruptive. We mentioned this to the staff when we ordered our tickets and they advised us that the film is totally interactive so kids are expected to shout, sing and move around. This was a relief as Fred doesn't have any volume control and likes to let the whole world know when he's having a good time. The screen wasn't busy at all which surprised us with it being the holidays and there was only a couple of other families there. We got seats on the front row so that Freddie would be able to crawl around because there is no way that a one year old is going to sit still for 68 minutes; after sitting in his seat for a while Fred decided to crawl up to another family and tell them about his cat "Ah-gert", they were really friendly and weren't annoyed with my gobby little baby. 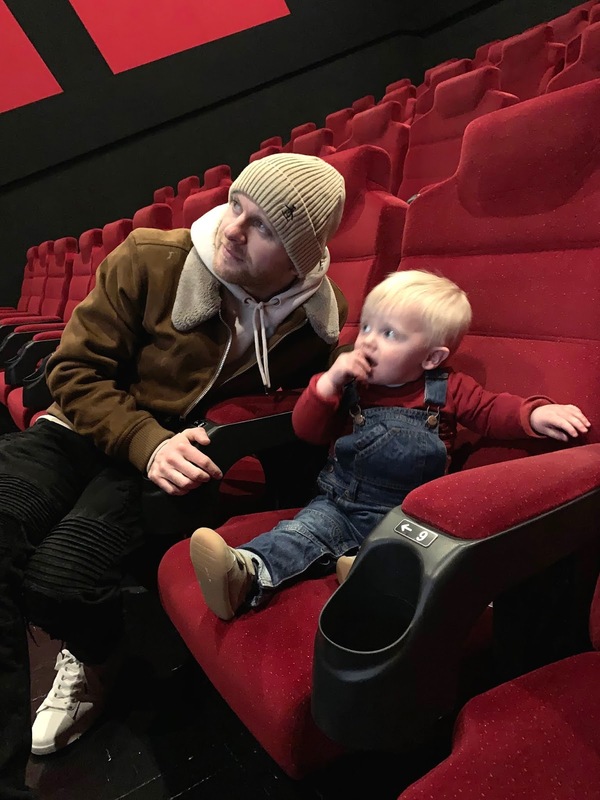 When the film started Fred relaxed on my knee and giggled away at Peppa, he lasted a good 50 minutes in the cinema but became restless and needed changing, we decided to leave rather than force him to stay and disrupt the other families. Before went into the screen, we were allowed to store the buggy in a locked room, when we came out a member of staff got it out for us and we headed back to the shopping centre to have a look around the shops and spot some big bugs. Ever wondered what bugs look like close up? 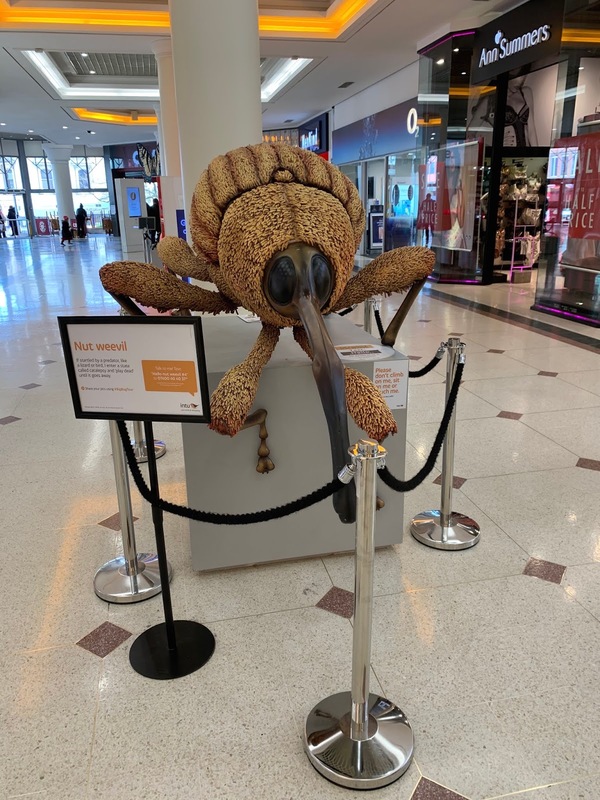 Big Bugs have taken over Intu Potteries until the first of May. There are 12 giant bugs scattered across the centre, some look kind of cute like the big Nut Weevil below and some are a little terrifying like the Hornet that I didn't get a shot of. Each bug has a little summary next to it as well as the option to text a specific number to make it talk. You can download a guide for the Big Bugs on the Intu Potteries site or, pick one up from the Customer Service Desk. There's also a Bug Hunt for kids to take part in where, once completed, they can collect a certificate. The bugs are a brilliant for way for entertaining kids (and partners) during shopping trips. This isn't the only event that Intu Potteries have arranged, check out their events page to see what's coming up. Intu Potteries also have a Family Club which is free to join and provides you with exclusive offers and discounts - If you join before the 30th April 2019 you will be automatically entered into a competition to win 4 Playmobil Gift Eggs. I was keen to have a look around the shops, Peppa Pig isn't that wonderful for adults and we needed some retail therapy. Unfortunately one of the lifts was out of use and not long after we arrived, the other lift also became out of use. I was worried that this was going to ruin the trip and make getting about really difficult but the friendly Intu staff were on hand to direct us to the Debenhams lift and helped us work out which floors we wanted to go on. 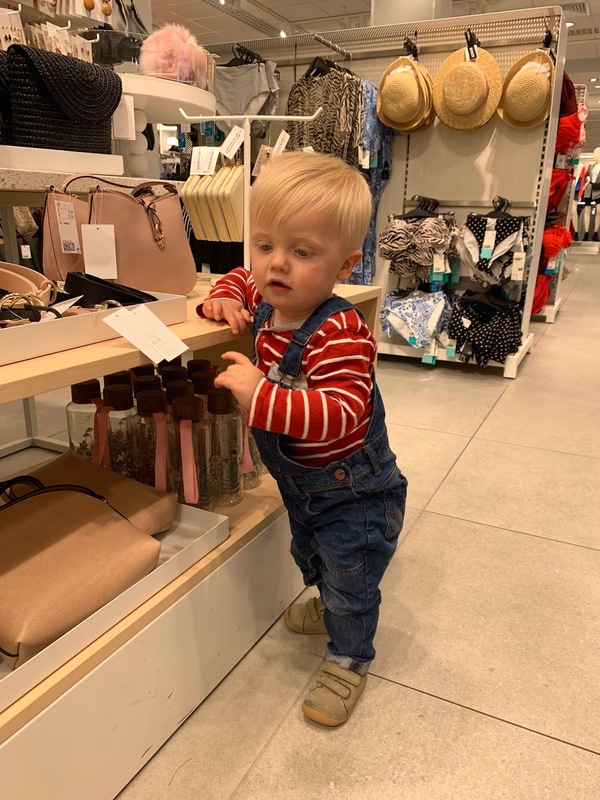 Luke and I managed to have a good look around H&M (there isn't one in Crewe) whilst Fred browsed the accessories and we even treated ourselves to some new tops. 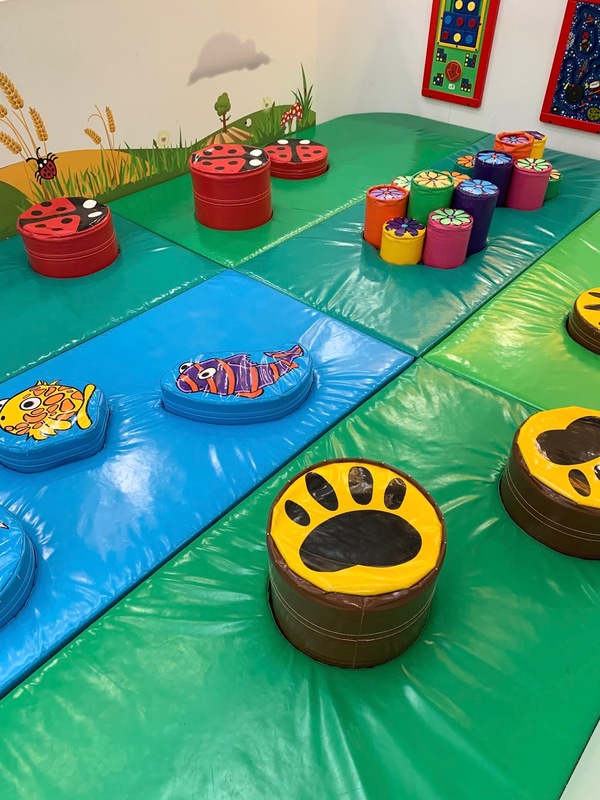 I noticed a small soft play area in the centre that was perfect for letting little ones have a play but also a stretch if they've been in buggies. I always feel a little guilty when I take Fred shopping in his buggy because there's no where to let him out but this added detail was a brilliant idea and perfectly safe too. 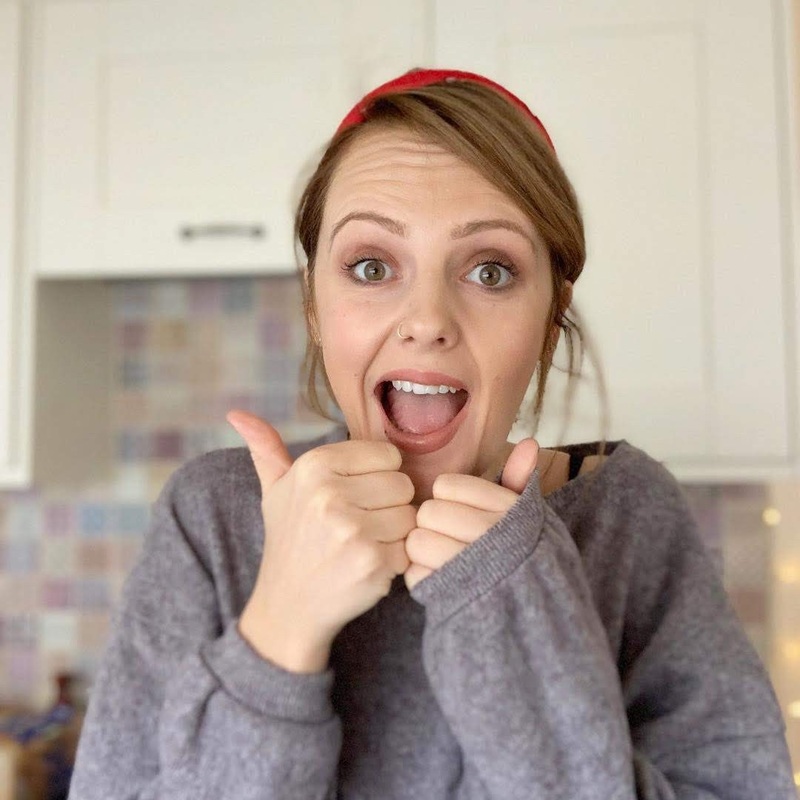 We also Vlogged our day so that you can get a good idea of the atmosphere of Intu Potteries as well as witness Freddie's adorable happy Nando's Dance. You can't beat a Nandos sometimes!! The Big Bug tour looks amazing! I love Nando's, also do you know Nandos is from South Africa? Ahh sounds like a great day lovely! Also Fred is the cutest!! Those wee shoes haha! Looks like a fun day! Can't beat a Nandos! You can’t go wrong with a Nando’s. Looks like you all had a fab day out.